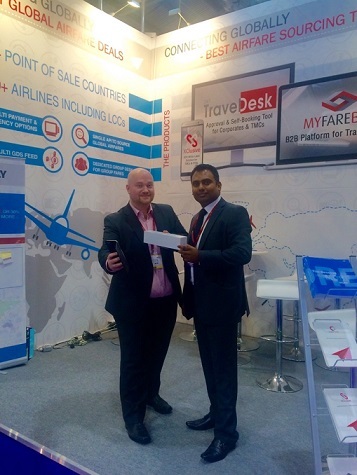 Over 1000 visitors have visited and viewed Mystifly technologies at global travel events over the last 60 days. Technology showcase, corporate travel management, global airfare solutions have been the highlight of these events. Also Andreas Schurrle of Donnelly Spire Ltd won an apple watch in the game held at Mystifly stand at WTM, London 2015.